Contrary to some, my expectations of the DC universal reboot did not hedge on a list of esoteric erotica or general confusion about characters. There were many things I didn’t like about the reboot, but those areas have been well covered by others. I wanted to, for a shocker, point out where I’ve seen as some surprising successes over the past 6 months. I am continuing to read Green Lantern titles and my lone way to get my Booster Gold fix, but none of those books make my cut. All of the titles that follow are ones I wasn’t reading before the reboot, so I guess DC has something to be, mildly, proud of about their efforts. 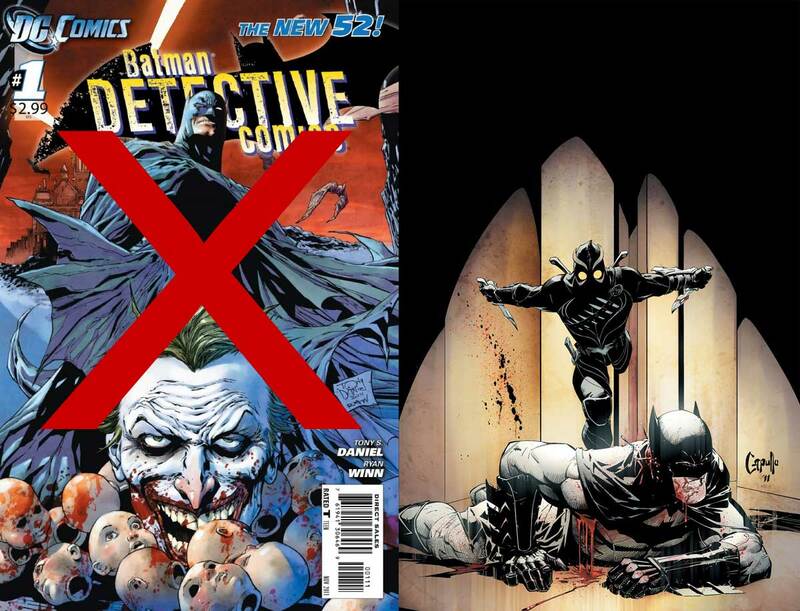 None of these titles are among those canceled in the recent DC announcement, so I might be on to something. There may be 15 different titles featuring Batman out there, and I may confuse several of them (like DARK KNIGHT/DETECTIVE COMICS/BATMAN/BATMAN AND ROBIN), but by issue 5, I’ve managed to sort out which ones I am enjoying and which ones I just don’t get. For me, BATMAN — you know, the one with the story right now about Owls (which in the comic sadly travel in courts, not parliaments) is the best. I enjoy the story mixture of detective work and action. The issues make great use of Gotham as a plot element/character, something essential to who Batman is to me. Tight storytelling and art that enhances the story rather than makes up for it makes Batman a success. 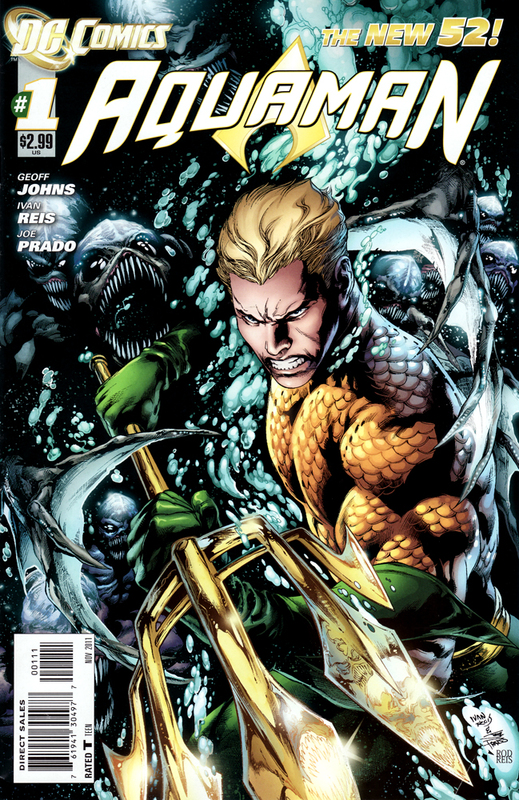 Aquaman is frequently the chum bucket of DC books. A guppy in a shiver of sharks. The Flying Dutchmen of superheroes, wandering the seas of obscurity until he loses a hand or grows a beard. 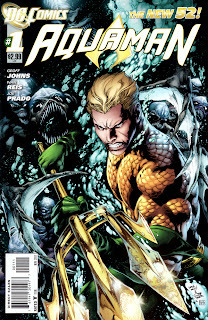 Enough with the bad sea metaphors, this book is actually enjoyable and understands that Aquaman belongs to the sea, is connected to it, and is conflicted by his upbringing. I like that this take on Aquaman acknowledges that Arthur is torn between being on land (i.e., where everything else happens in the DC universe) and belonging to the water (where his powers matter). You can see it in the mild frustration he has with people not knowing why he’s around and what he’s doing. 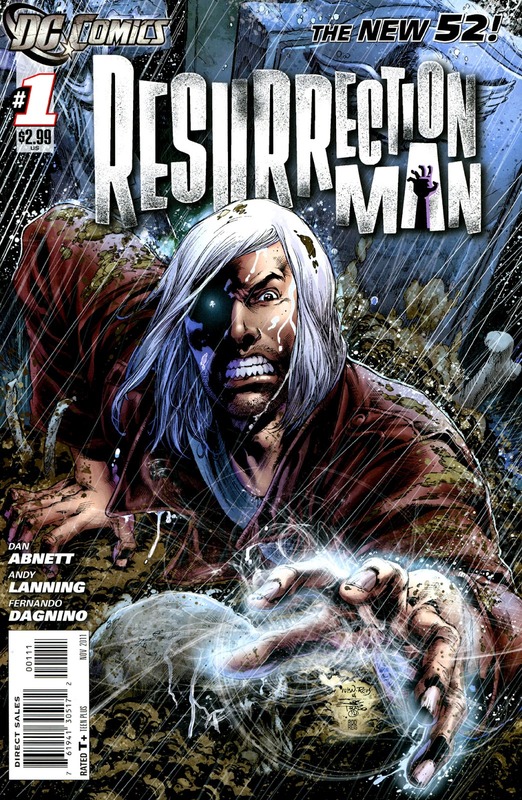 Clearly not an A-list hero and not a comic aimed at the 10–12 age group, but Resurrection Man is a great introduction to character not many people are going to know or have a deep familiarity with. I certainly didn’t know much more than the basics about Mitch Shelley (I didn’t know his name, for instance), but the short intro and the comic's ability to show and tell drew me in. 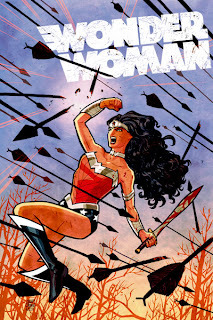 The story holds my attention and I am willing to read more, surely the praise DC is looking for, right? The character also presents a creativity challenge for writers and artists: every time Mitch dies, they’ve got to come up with something new. 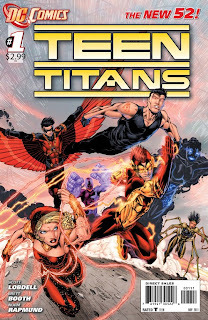 While I may have harbored a secret liking of Aquaman, I never really cared for the JL Angst edition I always thought of when people mentioned the Teen Titans. 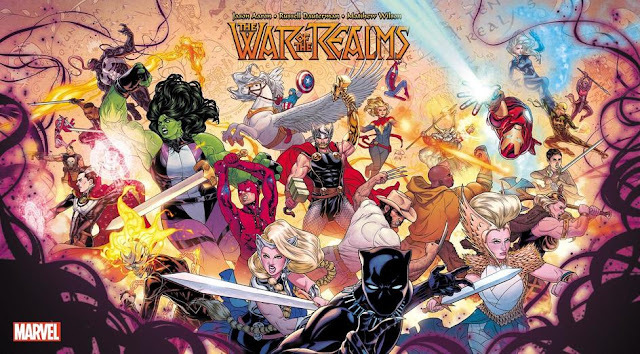 But, given the chance to not be dragged down by years of confusing continuity (see LEGION OF SUPERHEROES if you want that), I gave TEEN TITANS a shot. I have been pleasantly surprised by the story thus far. I like the idea of introducing some characters I know with plenty I don’t. Even if they are a little goofy and have big, purple boxing gloves. Frankly, I’m also enjoying the speed at which the Teen Titans are being assembled (more so than the Justice League). Tim has a clear plan in mind, is acting like a Bruce-lite know-it-all, and there is enough conflict and confusion to create a clear sense of urgency. I have always been a sucker for Greek myths and legends. They serve as a stark reminder about why continuity and logic shouldn’t matter in a good story. The aspect of Wonder Woman I always liked was the potential for it to use Greek myths to tell stories and move along the character growth of Diana. You get rampaging gods, an angry Hera (always a plus in my book), and a serious, kickass female lead. What’s not to like? It also has an art style that works with the motifs of the themes to enhance the story. I look forward to seeing how Zeus’s 435th illegitimate child comes along and how Diana deals with the (persistent) Amazon fallout. I enjoyed this review. It's about time Aquaman got his due. 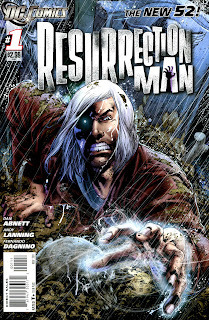 Any chance you will offer up future reviews on Stormwatch, Demon Knights, Animal Man, or Swamp Thing? I am reading Stormwatch and Demon Knights. I think Demon Knights has started to go south or is sort of in the woods. I am really enjoying Stormwatch, the only character I was familiar with before the reboot was J'onn and he wasn't in the Wildstorm universe. I tried to get into Animal Man, but I didn't like the art and the story seemed kind of flat. Never picked up Swamp Thing.